Do you suffer from allergies? Have they taken control of your life or health? In your life do you make choices that aren’t always the healthiest for you? If you’re struggling with health issues or other aspects of your life, then this is a fantastic and inspirational book for you! onto the street where my office was located. How many times have you had that feeling deep in the pit of your stomach that tells you that something you are about to do is wrong? Maybe it’s just a little thought that passes through your mind or a voice that is trying to get your attention. How many times do we listen to the “little voice”? I was an independent person and I knew what was best for me. I don’t remember ever allowing that voice to keep me from doing what I wanted. The crying on my way to work after I had become sick was my body telling me to stop going there; it isn’t safe for you. Yet I refused to listen to that voice. Was there a voice that told me not to start working in the first place? If it was speaking to me (and I think if probably was), I wasn’t listening. I was going to go to work. I was going to get dressed up and get paid for my daily efforts. I was going to have extra cash to do my hair, have manicures, and meet friends for lunch or shopping. No voice or funny feeling in the pit of my stomach was going to stop me. After years of being sick and working through my depression, my anger, and my reactions, I learned how to listen to my body. I learned if I was very, very still I could ask my body if something was right or wrong for it. My energy balancing sessions helped to calm my body. I learned to ask questions of my body. During an energy session, I purposely asked my body if I could have a banana which I knew would cause an anaphylactic reaction. I immediately had this strange feeling in my head. It felt like an electric current going back and forth between my ears. I then asked if I could have something I knew was safe like a piece of buffalo for dinner and I didn’t get this sensation. Over the next few weeks I continued to test my theory and the signs my body would give me depending on the questions asked. It isn’t always necessary to ask my body if something is right. I know now that when I get the feeling in my stomach, hear that little voice in my head, or just feel unsure about something, I need to listen. It isn’t always easy because I am still stubborn and don’t want to listen. Despite that little voice, I still want what I want. Not listening always gets me into trouble. Had that little voice been talking to me and I listened, I would not have written my story or used my voice to help others. I don’t believe in coincidences and I believe things happen for a reason. I was supposed to tell this story and bring awareness. Listening to your gut feeling can serve you well in all aspects of your life. Should you go to the store and do shopping? Should you attend a special event? Should you join a club or promote your work with a particular promotional agency? When has listening to your intuition paid off? When has not listening got you into trouble? 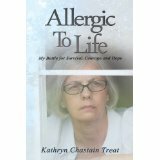 Allergic to Life can be purchased at HYPERLINK “http://www.amazon.com/Allergic-Life-Battle-Survival-Courage-ebook/dp/B00EU77QZQ/ref=sr_1_1?ie=UTF8&qid=1404160688&sr=8-1&keywords=allergic+to+life&#8221; Amazon and HYPERLINK “http://www.barnesandnoble.com/w/allergic-to-life-kathryn-chastain-treat/1116739966?ean=9781491804315&#8221; Barnes and Noble. Signed copies may be purchased at Kathryn’s HYPERLINK “http://kathryntreat.com/&#8221; website. This entry was posted in inspirational and tagged allergies, author, book review, books, inspiration, Kathryn Treat, memoir, mold, read, real-life. Bookmark the permalink. Thank you J.V. 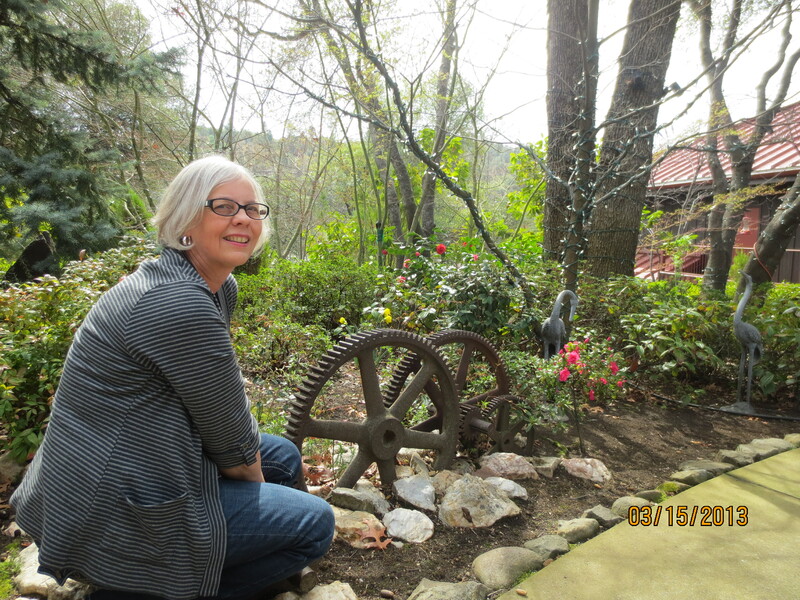 Carr for hosting me on the last day of my Rave Reviews Book Club “Spotlight” Author blog tour. I have had a blast being in the spotlight. I have relished in the wonderful support you and other members of our club have given me. You’re welcome and deserve it with all of your talent and hard work!! Great post, Kathryn. We should always trust our intuition. Thanks for hosting, J.V. Carr. I agree about trusting in intuition! It was a pleasure to host and fantastic of Katherine to share her story in her book! Thanks, Michelle! Thank you Michelle. It isn’t always an easy thing to do when we want what we want. That voice is right. When I start questioning how long I can endure an environment, I know it is time to leave. Absolutely. And so nice to share the difficulties we have in life. Thanks, Stephanie! Thanks, Jennie! Very true and very well said! Congratulations again to Kathy! Thanks for hosting! And Kathryn, very nice post! Thanks, Bruce, for stopping by on Kathryn’s blog tour! Bruce, thank you for visiting me on my blog tour stop with J.V.Carr. I am paying the last week for not listening to my body and pushing ahead to do something I really wanted to do. What was it? Why getting a library card in my new city in a new state. The moment I opened the door to go in I noticed the smell from rubber backed matts out to keep the floors from becoming slick on that pouring rainy day. At the desk where we signed up for our cards I noticed what smelled like new carpet smell and was getting a headache, croaky voiced and foggy brained. But again I chose not to listen and instead to take a quick look at the digs and a week later still dealing with sore swollen joints, angioedema in my face and headaches. So next time I hope i pay attention to my intuition, my body and run the other way!! Thank you for stopping by, Deb, and for sharing your story. I think most of us are busy and don’t always take the time to pay attention to what our body is telling us. May this be a reminder for all of us to listen to that voice in our head. And thanks again for people like Kathryn who have taken the time to share their story! Thank you Deb for stopping. What is it that just makes us push forward and not listen to the “little voice”? There is always going to be the “other voice” that says sure go ahead and do it! That all ended four years ago as the MCS and chronic leukemia decided to tag team me. I find its hard to end old habits and end up pushing beyond my limits to many times. This old dog better learn some new tricks! Sounds like you can use some rest! Health problems are difficult, but take care of yourself for you and those who love you! Thanks so much for your comments!